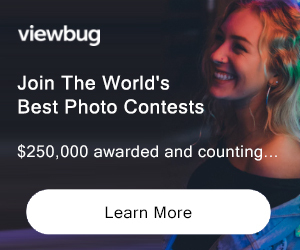 This contest is open to professional photographers and adult amateurs. A competitor may be excluded if, in the discretion of the organization, does not conform to the rules and conditions of the competition described here. The author who intends to participate in the competition, acknowledges and accepts all the rules included in this notice. 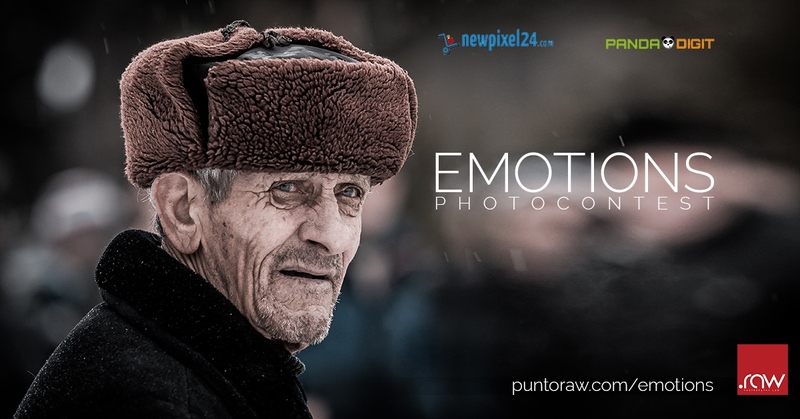 PORTRAIT, STREET PHOTOGRAPHY, REPORTAGE and LANDSCAPE. For all participants in the competition, a discount will be available on the whole catalog of the partner stores NewPixel24 and PandaDigit . The procedure to access the discount, will be communicated in the confirmation email when the photos are received. Participation in the competition is reserved for adults who will pay the amount relating to the “package” chosen according to the following modes. The photographs of the authors who have not paid the full fee will not be eligible for the competition. Entries received by June 25, 2017 will be entitled to participate with an additional variable number of photos depending on the amount paid (6 instead of 4, 14 instead of 10, 20 instead of 15). Images can also be inserted at a later date after the payment. We ask you to send the participating photos all together. The association may at its sole discretion terminate and cancel the competition. In the event of early cancellation, all allowances hitherto paid will be devolved. It would be possible that the platform you’ll used to pay will applicate some fees. The organization isn’t responsible and won’t accept complaints about that. Photographs with signatures or watermarks of any kind will not be accepted in competition. Each participant holds the copyright of the submitted images. The participant certifies the work as his own. The participant permits the organizers to reproduce the material entered for purposes related to the photo contest (such as, but not limited to: the catalog, web site, the social pages, etc.) unless otherwise specified by the entrant on the entry form. The winning photos and honorable mentions will be made available to the press who wish to give notice of the results of the competition. Every time the organizers will use the images they will always mention the name of the author. Each author is personally responsible for the subject matter of the works presented and the statements in the registration form. The authors authorize the publication and dissemination of their images, even in different sizes, solely for cultural, educational or catalog purposes related to the event. A participant may be excluded from the organization if he does not conform to the rules and conditions of competition. -Each participant declares on its own responsibility to be of age. We allow adjustments to images as long as they do not change completely the meaning and the shot. Hence we accept all the non-invasive operations, such as color and contrast adjustments, crop, white balance, removing stains and minor elements. At the end of the competition the finalist photographs will be selected. The jury will evaluate the finalists images (in an anonymous manner) according to the visual impact, the originality, the technique, the added value, the message of the photograph, the ability to pass a feeling or an emotion. The selected jury is international and representative of a broad area of photography and of use of images. Among the judges a non-professional amateur photographer will be inserted in order to have someone to represent the community of photography lovers. All the images will be evaluated online and independently by the entire jury. The judges will evaluate the photographs giving a score to each of them ranging from 1 to 10. The winning photographs will be those that at the end of voting, have reached the sum of the highest votes. If the Amazon voucher is chosen as competition prize, its value will be rounded down to the amount divisible by € 10 closer to the product cost of sales on Amazon at the end of the competition. The photographs selected by the jury might be collected in a photo book, marketed and distributed in ebook and paper formats. By entering the competition, the participant accepts all points of this Regulation and the conditions of use of the website. By filling out the registration, one accepts what established by Dlgs 196/2003 (Privacy), as amended: by participating in the competition the author authorizes the Organizer to process, by electronic means or otherwise, his personal data and to use them for carrying out the tasks related to the competition and the goals of the association and / or federation. Personal information may also be used to send to the Authors information regarding the results and future initiatives. SECOND CATEGORY AWARD: certification plate Not eligible to enter? - Find contest where you are. COPYRIGHT: Each participant holds the copyright of the submitted images. The participant certifies the work as his own. USAGE RIGHTS: The participant permits the organizers to reproduce the material entered for purposes related to the photo contest (such as, but not limited to: the catalog, web site, the social pages, etc.) unless otherwise specified by the entrant on the entry form. The winning photos and honorable mentions will be made available to the press who wish to give notice of the results of the competition. Every time the organizers will use the images they will always mention the name of the author.